…Now all we have to do is MDR them. Researchers interested in modern U.S. military history will benefit from FOIA releases by the Department of Defense on the record-keeping system of the Joint Chiefs of Staff, the highest-level organization in the U.S. military command system. In response to a FOIA request by the National Security Archive, the Pentagon declassified a master index to the policy papers of the JCS as of July 1975: JCS Series Numbers and Subject Index. The National Security Archive published these indexes for the first time today. Created during World War II, when the JCS was established, the index assigned a four digit number to each topic. As time passed the system was fine-tuned and re-organized, as new subjects appeared, such as the Single Integrated Operational Plan (JCS 2056) or the Freedom of Information Act (JCS 3531). Moreover, enduring topics such as “Exercises: Command Post Exercises (CPX); Maneuvers” received new numbers (for example JCS 2518). 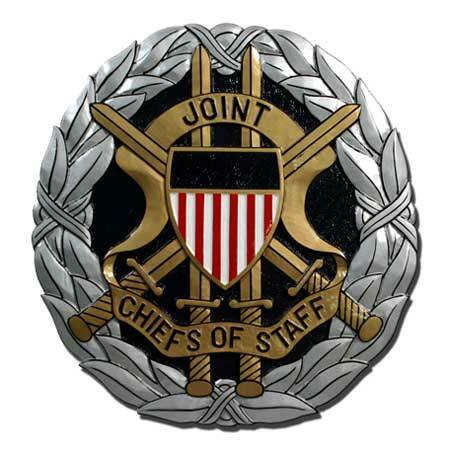 Also in response to a National Security Archive request, the Pentagon released the index to the filing system used by the Joint Staff, which assists the JCS Chairman in providing direction for the activities of the armed services. Beginning in the late 1960s, if not earlier, the Joint Staff created a new indexing system to get better intellectual control over its paperwork. That system remains in place, although the Joint Staff refined it over the years to allow for the coverage of new topics. What the Defense Department released is the “Joint Records Classification Manual (JCRM),” which is organized topically and numerically. Each subject gets a number; for example, “383” covers documents relating to “Unconventional Warfare and Unconventional Warfare Forces,” while “604” covers material on “communications with world leaders.” As may be noted, each “subjective category” only uses some of the numerical possibilities in order to allow for inclusion of new topics. Researchers on U.S. military policy can use the Joint Staff and JCS policy paper indexing systems to help formulate their FOIA requests. Moreover, as Joint Staff files from the late 1960s and 1970s become available in Record Group 218 (Joint Chiefs of Staff) at the National Archives, researchers will be able to use these indexes to identify the files that are relevant to their interests. Unfortunately, most Joint Staff files remain classified, but the index makes the subject matter of the files more explicable so that more precise declassification requests can be framed.